NAB and Westpac are two of the Big Four banks in Australia. Banking with these two institutions can offer you a large range of financial services. 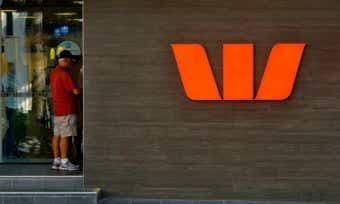 So should you choose NAB or Westpac? Below we compare some of the services available from NAB and Westpac: Credit Cards, Home Loans, Savings Accounts, Superannuation, Personal Loans, Car Loans, Home & Contents Insurance, Life Insurance, Car Insurance, and Travel Insurance. NAB vs Westpac both offer a large range of credit cards including Low Rate Cards, Low Fee Cards, Rewards Cards, and Premium Cards. If you are considering an NAB or Westpac credit card, you can compare what’s available in our comparison table below. This table is based on a monthly spend of $1,000 and is sorted by the interest rate charged on purchases (lowest to highest). NAB and Westpac both offer a large range of home loans, including fixed rate and variable rate loans. If you are considering an NAB or Westpac variable home loan, you can compare what’s available in our comparison table below. *Read the Comparison Rate Warning. NAB and Westpac both offer a large range of personal loans, including unsecured loans and secured loans (security may be car or vehicle, term deposit amount, or other). If you are considering an NAB or Westpac personal loan, you can compare what’s available in our comparison table below. This table is based on an unsecured loan amount of $20,000 for a 3-year loan term for borrowers located in NSW, sorted by current rate (lowest first). NAB and Westpac both offer a large range of car loans, including variable rate and fixed rate loans. If you are considering an NAB or Westpac car loan, you can compare what’s available in our comparison table below. This table is based on a new car for a loan amount of $20,000 for a 5-year loan term in NSW and is sorted by Star Rating (highest-lowest), followed by comparison rate (lowest-highest). NAB and Westpac both offer a large range of savings accounts including bonus savings accounts, online savings accounts, junior savings account, seniors’ savings account, and SMSF savings accounts. If you are considering an NAB or Westpac savings account, you can compare what’s available in our comparison table below. This table is based on Canstar’s ‘regular saver’ profile with $1,000 of current savings, located in NSW, and is sorted by total interest rate (lowest to highest). 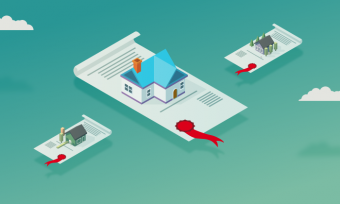 NAB and Westpac both offer a range of home insurance options, with cover for Building Only, Contents Only, or packaged Home & Contents insurance. If you are considering NAB or Westpac home insurance, you can compare what’s available in our comparison table below. This table is based on home and contents insurance for under $550,000 of cover for building and contents, for people located in NSW or ACT and aged less than 50 years old. The table is sorted by star rating (highest to lowest). NAB and Westpac both offer Third Party Property, Third Party Property Fire and Theft, and Comprehensive car insurance policies, with sum insured options including cover up to the agreed value or market value. If you are considering NAB or Westpac car insurance, you can compare what’s available in our comparison table below. This table is based on insurance cover for male drivers aged 30-39 years old who live in NSW, with no extra driver under 25 years old on the policy. The table is sorted by star rating (highest to lowest). NAB and Westpac both offer travel insurance for Australians visiting many different destinations. If you are considering NAB or Westpac travel insurance, you can compare what’s available in our comparison table below. This table is based on insurance for a couple aged less than 70 years old, who are travelling to the USA on a 10-day trip. The table is sorted by star rating (highest to lowest). The Car and/or Personal loan products displayed above that are not “Sponsored” are sorted as referenced in the introductory text and then alphabetically by company. Canstar may receive a fee for referral of leads from these products. See How We Get Paid for further information. Canstar is an information provider and in giving you product information Canstar is not making any suggestion or recommendation about a particular product. If you decide to apply for a personal loan, you will deal directly with a financial institution, not with Canstar. Current rates and fees are displayed and may be different to what was rated. Rates and product information should be confirmed with the relevant financial institution. For more information, read our detailed disclosure, important notes and additional information. *Read the comparison rate warning. The results do not include all providers and may not compare all the features available to you. The Car and/or Personal Loan Star Ratings identified in the tables were awarded in November 2018. Current rates and fees are displayed and may be different to what was rated. This table does not include all providers and may not compare all features relevant to you. View the Canstar Personal & Car Loan Star Ratings Methodology and full report. The rating shown is only one factor to take into account when considering products. In some cases, the methodology uses profiles comprising categories or bands e.g. income, loan amounts, monthly spend. In other cases, a single methodology (without any categories or bands) is applied. Products displayed above that are not “Sponsored” are sorted as referenced in the introductory text and then alphabetically by company. Canstar may receive a fee for referral of leads from these products. See How We Get Paid for further information. Canstar is an information provider and in giving you product information Canstar is not making any suggestion or recommendation about a particular product. If you decide to apply for a car loan, you will deal directly with a financial institution, not with Canstar. Current rates and fees are displayed and may be different to what was rated. Rates and product information should be confirmed with the relevant financial institution. For more information, read our detailed disclosure, important notes and additional information. *Read the comparison rate warning. The results do not include all providers and may not compare all the features available to you. Canstar may earn a fee for referral of leads from the comparison table. See How We Get Paid. The Star Ratings in this table were awarded in November 2018. Current rates and fees are displayed and may be different to what was rated. This table does not include all providers and may not compare all features relevant to you. View the Canstar Personal & Car Loan Star Ratings Methodology and full report. The rating shown is only one factor to take into account when considering products. In some cases, the methodology uses profiles comprising categories or bands e.g. income, loan amounts, monthly spend. In other cases, a single methodology (without any categories or bands) is applied. For more information, read our detailed disclosure, important notes and additional information. *Read the Comparison Rate Warning.